Southwest flights nationwide were grounded for nearly an hour Friday morning. A computer issue grounded all Southwest Airlines flights for 52 minutes Friday morning. An FAA alert said it was for a computer / processing issue for the ground stop which started at 5:34 a.m. EST. 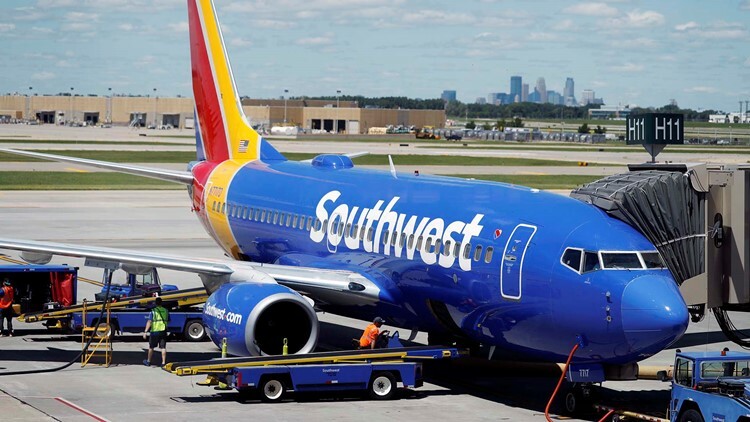 A Southwest spokesperson later explained that the airline suspended operations for about 50 minutes as "teams worked to ensure performance of some of the airline's software systems that were upgraded overnight." Media relations manager Michelle Agnew said customers on the earliest departing flights were impacted by 40 minute delays on average. She said there were no cancellations related to the software issue. While operations were suspended in the morning the airline was responding on Twitter to customers who were delayed. "We're truly sorry for the delays this morning. Our Network Operations Control Team is aware of the issue and are working diligently to get you on your way as quickly as possible. We appreciate your patience while we work through this," Southwest said in one response. Unrelated to the computer issue, the airline said due to winter weather and a "higher-than-average number of out-of-service aircraft," it has had to cancel around 80 of its nearly 4,000 scheduled flights for Friday. An FAA alert said the ground stop ended at 6:26 a.m. EST.